Harmony is a fine example of the build-quality that Tayana’s are known for and has a gorgeous teak interior like only Taiwanese boats can have.Vancouver 42’s have a practical layout for an offshore cruiser.This one is an aft-cockpit version that remains dry due to hull design.She is only on her second owner, who has spared no expense upgrading and maintaining her.Repowered in 2001 with an upgraded Perkins Sabre 65hp engine.Custom heavy-duty dinghy davits with a swing arm to ease deployment of the dinghy.Fully battened mainsail with UK Sails stack pack (2011). Double roller furling for jib and staysail. Lithium-ion batteries (Oct. 2017) forhousebank.Workbench between aft cabin and main salon.A true Classic Plastic! 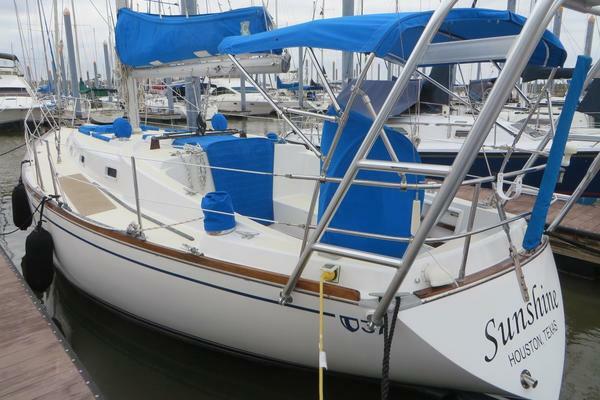 United Yacht Sales New Jersey would love to guide you through a personal showing of this 42' Tayana Vancouver 42 1981. 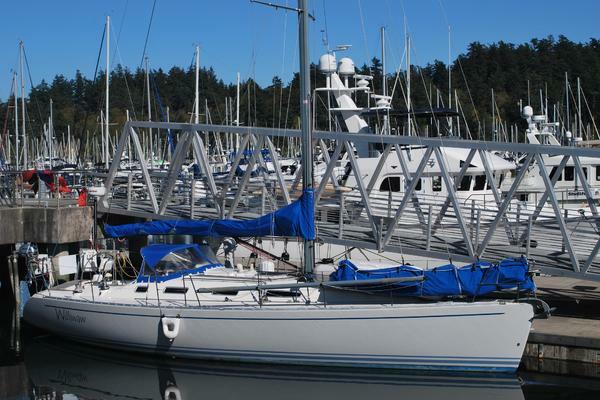 This yacht for sale is located in Mexico and priced at $119,000. For a showing please contact us by filling out the form on this page and we will get back to you shortly! Enter below decks throughcompanionway.Galleyis to starboard, forward facing nav station is to port.Moving forward is the main salon with convertible dinette, portandstarboard settees.Head is further forward ofmainsalon and to port.Full forward is a vee berth, with access tochainlocker.Aft and toportof the companionway is a hallway leading to the aft cabin.Hallway includes a nice work area and storage.Aft cabin hasdoubleberth to port, generous storage throughout.Batteries stored below aft berth. Aft and to starboard is the head and shower.Easy access toengine.Gorgeous teak work below deck, impeccably preserved. Total Sail Area: Approx. 1000 sq. ft.
Mainsalon is forward of galley and nav station.Features centerline folding dinette.L-shaped Port side settee plus straight starboard side settee provide ample seating.Bulkhead mounted TV which is also connected to the Furunochartplottersystem, for ease of use while underway.Water storage tanks port and starboard, with inspection plates.Window air-conditioner mounted overmainhatch insalon, providing comfort while at the dock. Fridge/Freezer: L-shaped Adler Barber 10 cu ft.
TV: Majestic 12v with DVD and HDMI connection for Furuno multi-function display incockpit. Holding Tank: Electric, 40 gal.